There exists a mystical aura around Julius Beresford Wiszniewski, his name and where he originally came from. One legend has it that ‘Berry’, as he was called, came to Britain with his governess, the son of a Polish aristocrat. Other stories say that he was born in Danzig and changed his surname, Wiszniewski, to the more English-sounding name, Beresford, when he moved to London. Truth is that Berry had dropped his Polish surname for ‘Beresford’ when he was rowing for Kensington RC in the late 1890s and beginning of the 1900s, and later for Thames RC, but it was actually first on 23 February, 1914, that he officially changed his name to Beresford. Eight days later, a notice was published about his name change in the official journal of records, The London Gazette. Allow me to also set some other facts straight: Julius Beresford Wiszniewski was born in 1868 in Tottenham! It was Berry’s father, Julius Bernard Wiszniewski, a corn merchant, who was born in 1832 in Danzig, which then was a part of Prussia (it had been, and would later be, either a so called free city by the name Gdańsk or belong to Poland). Perhaps Berry’s name Beresford came from his mother’s side of the family. In 1866, Julius Bernard married Stella (nee Davey) who was born in 1846 in Herefordshire, Tim Wilson, archivist and Thames RC’s historian, has told me. In two censuses, 1881 and 1891, we can follow the Wiszniewski family’s journey. In the second census the younger Julius, now a furniture draughtsman, is listed as Beresford Wiszniewski. His name, Julius, is not included. He later founded the furniture manufacturing company Beresford & Hicks together with his sister Stella’s husband, Richard Hicks. Berry would not be as famous as his son, Jack, plying the oar, but as a veteran he would meet with great success with his coxless four - Karl Vernon, ‘The Bean’; Charles Rought; and Bruce Logan - winning the 1908 International Fours at Amsterdam, the Stewards’ at Henley in 1909 and 1911. The latter year, Berry also won the Goblets together with another veteran, Arthur Cloutte. Their combined ages were 83 years, setting a course record at 8 min. 15 sec. 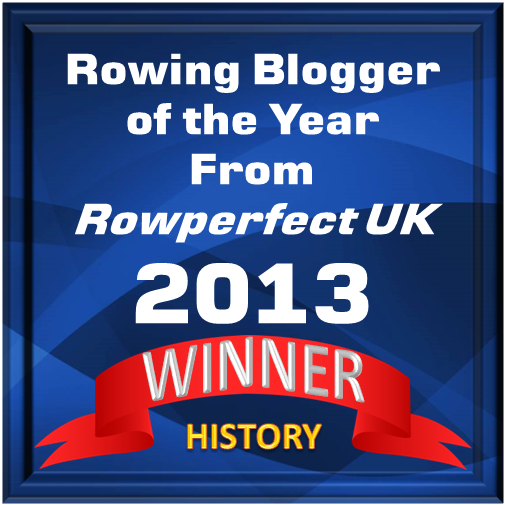 In 1912, the four took an Olympic silver medal in the coxed four with Geoffrey Carr as cowswain. 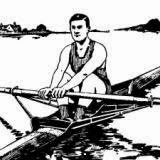 Berry kept on rowing up at an old age, dying at 91, in 1959. Dear Carina ~ I am happy being able to shed some light on the rich history of the Beresford Family.